Description - Regal in design and feel, you will feel like you have hit the jackpot with Joy Carpets Jackpot carpet in your home or business. Easy to clean and maintain, this carpet is great as flooring high traffic areas, basements, and home theaters. 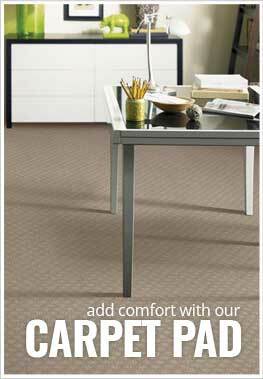 Resistant to staining, soiling, mold, mildew and odor ensures this carpet will look and smell great for years to come. Backed by a lifetime warranty ensures that your broadloom carpet will be the cat's meow for years to come. Recommended Uses - Joy Carpets Jackpot Carpet is the perfect comfortable yet durable flooring option for any room in your home or business and has been installed as flooring in home theaters, as basement flooring, in family rooms, in high traffic areas, as flooring in rec. rooms, and much more. Great for high traffic areas, basements and home theaters.